Acts 7:37-43 This is that Moses...to whom our fathers wold not obey, but thrust him from them, and IN THEIR HEARTS TURNED BACK AGAIN INTO EGYPT... And they made a calf in those days, and offered sacrifices unto the idol, and rejoiced in the works of their own hands. Then God turned, and gave them up to worship the HOST OF HEAVEN: as it is written in the book of the prophets, O ye house of Israel, have ye offered to Me slain beasts and sacrifices by the space of FORTY YEARS IN THE WILDERNESS? Yea, ye took up the tabernacle of Moloch, and the STAR OF YOUR GOD REMPHAN, figures which ye made to worship them: and I will carry you away beyond Babylon. "In the Astro-Mythology of the Egyptians, we find belief in the first man-god (Horus I) ...and his death and resurrection as Amsu"
"This (6-pointed star) was the first sign or hieroglyphic of Amsu"
B. 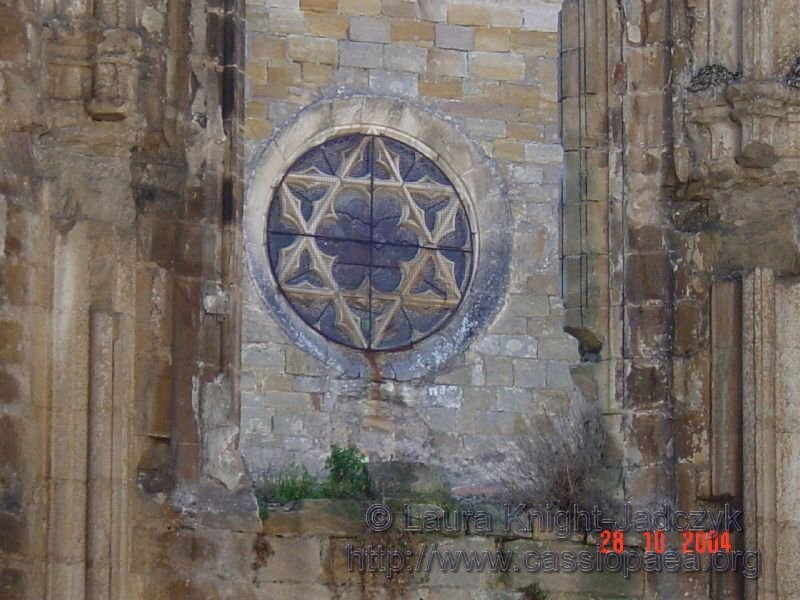 The six pointed star is associated with the worship of Saturn. Therefore, the beast is Saturn (Satan) and his mark is the 6-pointed star. Acts 7:43 - Yea, ye took up the tabernacle of Moloch, and the STAR OF YOUR GOD REMPHAN, figures which ye made to worship them: and I will carry you away beyond Babylon. 2. Both Chiun and Saturn are identified as Cain. Since Chiun and Cain are linked with Saturn, the planetary name for Satan, the mark of Cain was the mark of Saturn, a six-pointed star. 4. The Kenites who claim to have descended from Cain wore the mark of the Tau Cross, the letter of Saturn, on their foreheads. C. In ancient pagan mythology, Saturn ruled over the pre-Flood kingdom of Atlantis and became the divine ancestor of all earthly patriarchs and kings. D. The Six-Pointed Star is engraved on the Talisman of Saturn which is used in ritual magic. "These are the principal Talismans whose traditions have been preserved for us by the most ancient monuments of the highest magical art and by the most reliable archaeologists in this type of research. These talismans are recommended under the name of Teraphim by the Hebrew Qabalists of the Middle Ages, who replace the names of the planetary Genii of Egypt by those of: Oriphiel (REMPHA), Zachariel (Pi-Zeus), Samael (Ertosill), Michael (Pi-Rh3), Anabel (Suroth), Raphael (Pi-Hermes) and Gabriel (Pi-Ioh). These Cabalists add another seven talismans to which they attribute the power of conjuring the influence of seven demons who, according to their doctrine, share with the seven planetary angels the government of the divine creation. Against the angel of Saturn they set the demon Nabam; against the angel of Jupiter the demon Acham; against the angel of Mars the demon Nambroth; against the angel of Venus the demon Lilith or Naemah; against the angel of Mercury the demon Astaroth or Tharthac; and against the angel of the Moon the demon Sathan, See Judges xvii and xviii in the Bible. The Teraphim appear to correspond to the serpent images or seraphim. which in turn are said to derive from the Kabeiri Assyrian divinities worshipped at Hebron (Beni Anak). The Daimons or male spirits of the planets are now given by esoteric students of the Qabala as: Adonai=sun, Evoe=Moon. Saba=Mars, Astaphoi=Mercury, Eloi=Jupiter. Ouraioa=Venus and Ilde-baoth, or according to the Orphites JAHWEH=SATURN." E. Noah was worshipped as Saturn, Oannes and the Philistine god, Dagon -- all Fish-gods. 1. Dagon, the Fish-god, is associated with the forehead and hands, the location of the mark of the beast. Note: Dagon's crown is the top of a 6-pointed star. I Sam. 5:4 - And when they arose early on the morrow morning, behold, Dagon was fallen upon his face to the earth before the ark of the Lord; and the HEAD OF DAGON AND BOTH THE PALMS OF HIS HANDS WERE CUT OFF upon the threshold; only did the stump of Dagon was left to him. The tattoo bonds the initiate with the entity symbolized by the tattoo and enables him to communicate with that demonic power. 3. The six-pointed star was used in mystery religion initiation rites. F. King Solomon reintroduced the 6-Pointed Star to the Kingdom of Israel. 1. 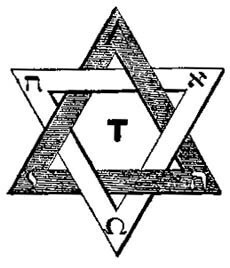 The Talisman of Saturn became known as the Seal of Solomon. “…Solomon’s blatant idolatry had angered the Lord to the point of bringing about the division of the kingdom of Israel. 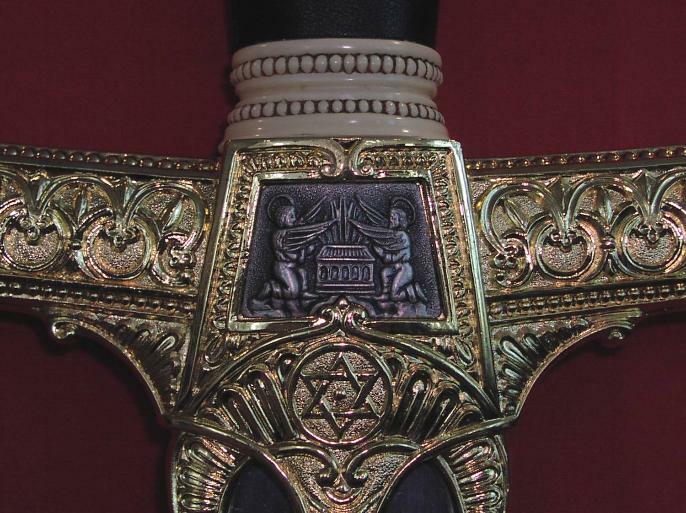 Part of the evidence is the six-pointed star, which was called the Seal of Solomon from then on. Let us investigate those false gods with which he was involved. “First mentioned was ASHTORETH, otherwise called ASTARTE, the word meaning STAR. 3. Solomon used his Seal ring to communicate with evil spirits. 4. Solomon's Seal is used as a talisman by all occultists. G. The Mark of the Beast will be the symbol of the "Beast out of the Sea" with 7 heads, which will be the earthly counterpart of Satan, the 7-headed Dragon. H. The 7 heads represent the 7 kings of 7 Gentile world kingdoms controlled by Satan which have conquered Israel. 1. The 7 Gentile world kingdoms worshipped the "beast out of the sea" in the form of a Fish-god who ruled the pre-Flood world (Atlantis). "In Babylon, Capricorn symbolized the dual life of Ea, a god often shown walking in a great FISH-SHAPED cloak with the head of a FISH over his own head… It was said to have come from the OCEAN to teach men how to live." 1) The Roman god Saturn, known as Chronos to the Greeks, was the king of Atlantis. 2. The Kings who were controlled by Satan. Ezek. 29:3 … Thus saith the Lord God; Behold, I am against thee Pharaoh KING OF EGYPT, THE GREAT DRAGON that lieth in the midst of his rivers. I. Eighth Beast - The Kingdom of Israel under the Merovingian False Christ, who will rule as the reincarnated King Solomon over the Gentile world. 2. 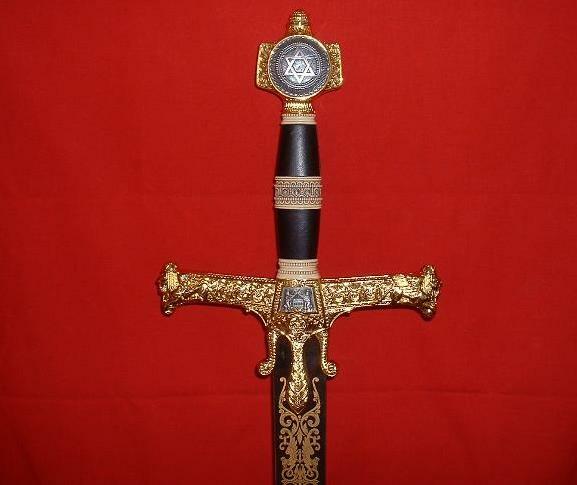 The insignia of the Merovingian Dynasty is the Six-Pointed Star. 3. The Rothschild insignia, the Six-Pointed Star, became the Zionist symbol which adorns the flag of Israel. “Finally, the State of Israel was created by the United Nations in 1948. Its symbol, the six-pointed star, adorns the Israeli Knesset and flies on the flag of Israel.